Lloyd Thomas Myers, “Dusty” to his family, passed away on Aug. 3, 2018 in Midpines due to pancreatic cancer. He was born Jan. 14, 1948 to Lloyd and Marian Rubio Myers. He was a Navy veteran and worked in law enforcement for 35 years, ending his career as a lieutenant for Hayward Police Department and as a multi-agency task force commander in the East Bay. He was honored for his contributions to the community and to youth through the Hayward Police Officer of the Year award and the East Avenue PTA Honorary Life Membership. He was a graduate of California State University, Hayward, where he met his wife of 40 years, Linda Ann Fluharty. They raised two daughters, Katie Mari and Shannon Elizabeth. He coached youth sports teams his entire life, beginning with All Saints Church CYO where his fourth grade team took the Northern California basketball championship. 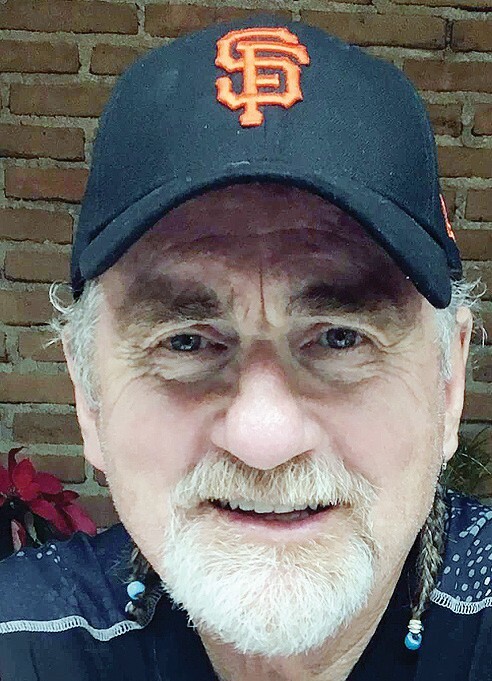 He coached all his daughters’ softball and soccer teams and upon arriving in Mariposa, continued coaching several girls JV basketball teams at MCHS. He finished his coaching days just this past year with the Mariposa Middle School Bears basketball team. He and Linda flourished upon moving to their “Rancho Sueno” in Midpines, raising livestock and beekeeping. He was a proud “100 percent half Spaniard.” He never stopped learning, taking guitar and drum lessons in his 60s. His band, “Count Me In,” was one of his joys. He will be remembered as someone who was caring, helpful, and a heck of a lot of fun to be around. He is survived by his loving wife, Linda; adored daughters Katie (Patrick) Pike and Shannon ( John) Clark; beloved grandchildren Tyler, Sophia, Jackson and Gus; sister, Lita Flinders; as well as many cousins whom he thought of as siblings. Donations in his memory may be made to “Friends of Hospice,” P.O. Box 714, Mariposa, CA 95345. A celebration of his life will be held at McCay Hall, 2820 Highway 140, Catheys Valley on Sept. 30 from 1-4 p.m. All are invited to attend.